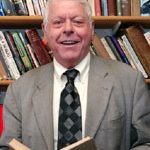 Professor Eric Dunning of the University of Leicester, distinguished sociologist, prominent advocate of the process-sociological perspective, and founding father of the sociology of sport, has died after a long illness. Eric was born in Hayes, Middlesex, the second son of Sidney Dunning, a London bus driver, and his wife Florence Daisy, a school dinner lady. After Acton County Grammar School, in 1956 he entered what was then University College Leicester. As a first-year undergraduate he attended Norbert Elias’s introductory lectures in sociology. He was so entranced that he switched from his intended subject of economics to become a sociologist, graduating with an external London University BSc (Econ) in 1959. At Acton County, he had learned German, which proved to be of great significance: he was one of very few students who were able to read Elias’s magnum opus, Über den Prozess der Zivilisation, in the original 1939 edition (a copy of which he borrowed from the Head of Department, Professor Ilya Neustadt). The book was not published in English translation until many years later. Seeking an area for postgraduate research, Eric asked Elias whether football was a respectable field for research. At that time it was not: among British sociologists there was often, as Eric remembered, ‘a contemptuous dismissal of sport as an area of sociological enquiry’. He later recalled that his initial bibliographical search revealed almost no research on sport that was sociological in the sense of being oriented around sociological concepts and theories. Dunning and Elias set out to change that, and in effect founded the sociology of sport, which is today a very thriving field. The ideas associated with process sociology were applied from the beginning to the sociology of sport. Eric’s postgraduate work focused on the development of football from a rough and wild folk game, closer to ‘real’ fighting than to modern sports, into the modern game, characterised by formal organization and elaborate written rules, one object of which was to regulate, and steadily to reduce, the socially permitted level of violence within the game – a manifestation of a civilising process. After completing his research, Dunning went to the United States for a year, where he worked under Alvin Gouldner at Washington University in St Louis, MO, and where he met and married his first wife, Ellen. He returned to Leicester in 1962 to take up an appointment as an assistant lecturer but Ellen was unable to settle in England, the marriage broke up and she returned to the USA. Dunning authored or edited 14 books and wrote almost a hundred scholarly papers on sport. Quest for Excitement, co-authored with Elias, has been hugely influential in generating a more theoretically informed sociology of sport and has been translated into six languages.6 Their essays, separately and together, covered the development of sports and leisure from the ancient Greek Olympics to the present day. Among many other things, they stressed how sports gradually developed rules to maintain the ‘tension balance’ or level of excitement for both players and spectators; the offside rule in soccer or the lbw rule in cricket are examples of this. The theme is developed in Barbarians, Gentlemen and Players, his study with Ken Sheard of the development of Rugby football, which is arguably the best sociological study of the development of any sport. From 1984 onwards, Dunning and his Leicester colleagues produced several books on football hooliganism, and the work of what became known as the ‘Leicester School’ is without doubt the most substantial and influential work in this area, the starting point for all subsequent research.7 During those years, Eric appeared frequently on television and radio as the pre-eminent expert on sports-related spectator violence. Eric’s outstanding contribution to the sociology of sport was recognised when his book Sport Matters was awarded the NASSS prize as the best book published in the field in 1999.8 In 2008, he was presented with a Festschrift; the cover photo of the University of Leicester football team around 1960 shows Eric hidden in the back row because, typically, he was the only member who had forgotten to bring his shorts!9 A conference in his honour was held in Leicester in March 2017, marking (a couple of months late) his 80th birthday; tributes were paid by many of his former students, who include (among many others): Jason Hughes, Ken Sheard, Katie Liston, Patrick Murphy, Dominic Malcolm, Joe Maguire, Ken Green, Andy Smith, Chris Rojek, Grant Jarvie, Daniel Bloyce, Martin Roderick, Dan Burdsey and Raul Sanchez Garcia. Eric was an inspirational lecturer and a natural teacher who conveyed complex ideas with great clarity. To colleagues and students he always gave unstintingly of his time and his help and advice. To his friends he will be remembered as a bon viveur who loved wine and jazz, a teller of jokes and shaggy dog stories but, above all, as an extraordinarily kind and generous person. We will remember Eric as a larger than life character and a good companion. He is survived by his second wife, Judith, from whom he was divorced, their two children Michael and Rachel, grandchildren Florence and Isabelle, and his brother Roy. Eric Dunning and Earl Hopper, ‘Industrialisation and the problem of convergence’, Sociological Review, NS 14: 2 (1966), pp. 163–86. Eric Dunning, ‘In defence of developmental sociology: a critique of Popper’s Poverty of Historicism with special reference to the theory of Auguste Comte’, Amsterdams Sociologisch Tijdschrift, 4: 3 (1977), pp. 327–49. Eric Dunning and Jason Hughes, Norbert Elias and Modern Sociology: Knowledge, Interdependence, Power, Process (London: Bloomsbury, 2013). Eric Dunning, ‘Football in its early stages’, History Today, December 1963; ‘The evolution of football’, New Society, No. 83, April 1964. Norbert Elias and Eric Dunning, Quest for Excitement: Sport and Leisure in the Civilising Process (Oxford: Blackwell, 1986; revised and enlarged edition, Dublin: UCD Press, 2008 [Collected Works, vol. 7]). Eric Dunning, John Williams and Patrick Murphy, Hooligans Abroad: the Behaviour and Control of English Fans in Continental Europe (London: Routledge & Kegan Paul, 1984); Eric Dunning, Patrick Murphy and John Williams, The Roots of Football Hooliganism: an Historical and Sociological Study (London: Routledge & Kegan Paul, 1988); Eric Dunning, Patrick Murphy, Ivan Waddington and A. Astrinakis, Fighting Fans: Football Hooliganism as a World Phenomenon (Dublin: University College Dublin Press, 2002). Eric Dunning and Kenneth Sheard, Barbarians, Gentlemen and Players: a Sociological Study of the Development of Rugby Football (Oxford: Martin Robertson, 1979); Eric Dunning, Sport Matters: Sociological Studies of Sport, Violence and Civilization (London: Routledge, 1999). Dominic Malcolm and Ivan Waddington (eds), Matters of Sport: Essays in Honour of Eric Dunning (Abingdon: Routledge, 2008). I’m one of Eric’s students. A lot of what I have to say about Eric could have been said by countless others. To the extent that I can, I’d like to speak on their behalf too. I could tell you a hundred stories about Eric. But I’ve settled on three that are a) suitable for a funeral and b) that hopefully capture something of his incredible life. The first of these stories takes us back to the early 1990s, when I was an undergraduate student at the University of Leicester. Around that time I was seriously thinking of dropping out of University – I was in a long-distance relationship, and I was beginning to think I wasn’t cut out for University. I met Eric in my third year when he taught me the module Advanced Sociological Theory. He was inspirational as a lecturer, but even more incredible as a seminar leader. He had a gift for getting the best out his students. At that crucial time, he made me feel for the first time that what I had to say was truly worth something, he gave me the confidence to speak and express ideas, he helped me foment my sociological imagination. In fact, Eric made me fall in love with sociology. So much so, that I went on to complete my degree and do a PhD in the subject under his supervision. Like so many other students before me, Eric’s tutelage had been quite literally life-changing: the sociology that he was teaching was something new, fresh, exciting and something in which I wanted to play my part. My plan had always been to get a job in advertising or marketing, something like that. But Eric’s teaching had such a profound effect on me that I ended up pursuing an academic career in the discipline. This brings me to my second story. By 1996, I’d landed my first job, again at the University of Leicester, in the Centre for Labour Market Studies (CLMS). Eric was at that time a Professor in the Centre for Research into Sport on Society or CRSS. The two Centre buildings physically faced each other on Salisbury Road. And at lunch times Eric could take up a vantage point overlooking my office. I remember one evening we had a work’s do for CLMS. I invited Eric to join us. He was an immediate hit with my colleagues. Within five minutes of joining our party, Eric was up to his usual tricks: dancing with a pint of beer on his head; arm-wrestling; flashing his gold card to a female colleague he was (unsuccessfully) trying to chat up; working through his stock of dirty limericks, and so forth. And then later that same evening, he’d be earnestly and passionately engaged in a full-blown academic discussion of the Kantian a priori. This, for me, really sums up my memories of Eric. He had this unique combination of immense personal humility and enormous intellectual ability. He didn’t have a shred of personal arrogance or hubris; he was incredibly approachable, convivial, and above all fun. But when it came to the ideas, when it came to sociology, there was nothing more important, nothing more serious. My third and last story relates to just a few years ago. I was back at Leicester, now working in the Department of Sociology where I had been a student. I got to see Eric for lunch 2 or 3 times per week. It always amazed me that he would make the enormous effort to traverse Queens Road and Victoria Park with two gammy hips and his walking sticks. Because this was a sight familiar to many, it was easy to forget that it must have been quite a feat for him. But he did it, and he never complained about it. Shortly after my return, and on Stephen Mennell’s recommendation, Eric was awarded a much deserved honorary DLitt from the University of Leicester. I remember at the end of that great ceremony telling Eric: “You’re a star”! ‘I’m not a star; I’m a moon’ was his reply – as though his only light was that reflected from the brilliance of his mentor and teacher, Norbert Elias. But of course Eric was a star in his own right, not simply because of his own enormous academic success, but because of his own brilliance as a teacher and a friend. (For me, the two are indistinguishable). He shone his light on me, and I, like so many others before me, basked in it, I flourished and I grew. He’s still shining on now, an enormous, brilliant, wonderful figure, who none of us could or will ever, forget. I had already known Eric for around 25 years when he was appointed external examiner for the BSocSc degree at University College Dublin (UCD). That also involved his examining the equivalent degree at Maynooth, where there is both a secular university and a pontifical university, and which serves as the headquarters of the bishops of the Roman Catholic Church in Ireland. In the second or third year, I drove there early one morning to bring Eric back to UCD. I found him having breakfast with all the bishops. More exactly, I found him standing up between the tables, having a boxing match with the Archbishop of Armagh, Seán Brady, Primate of All Ireland and later Cardinal Brady. Eric said the archbishop had challenged him. Whatever the quarrel, it looked to me like male bonding. Eric bonded with everyone. My Maynooth opposite number, Father Liam Ryan, not only shared a taste for late-night whiskey but took Eric to the All-Ireland Hurling Final – an immense privilege in Ireland! 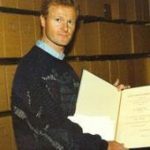 It was the same at UCD, especially in the later years when Eric was a Visiting Professor: he propped up the bar in the Common Room most nights when in Dublin, and although it is about 15 years ago, his fellow topers and the bar staff have continued to ask after Eric right up to his death. Art Cosgrove, who was President of UCD at the time (the equivalent of Vice-Chancellor) said to me only the other day how fondly he remembered his conversations with Eric about the sociology of sport. I always told Eric that I was not interested in sport, but I was interested in the sociology of sport because I wanted to understand why everyone else seemed to be interested in sport. Mere association with Eric had strange results: I found myself appointed to the Sports Studies Committee of the old Council for National Academic Awards, and even became external examiner for a Masters programme in sociology of sport. I kept telling people that I’ve never done any research on the sociology of sport, and all I knew had been learnt through drinking with Eric Dunning. Eric was both utterly helpless and unexpectedly expert. He could scarcely type, and was hopeless with technology. We gave him a computer at UCD, but one of my postgraduates had to stick labels on it to show him even which was the on/off switch. Yet, one day sitting with a beer in our garden, Barbara and I were surprised to find that he knew all about bees and bee-keeping. Eric was above all an outstanding ambassador for sociology, which, let’s face it, often makes itself pretentious and tedious. Eric was always an eloquent advocate, even in his cups. I like to tell the story of the morning I was sitting in my UCD office around 8.45 when Steve Loyal came in, looking pale, and saying ‘Aaargh! – I was drinking with Eric until 3 o’clock, and I have to lecture at 9.00, Aaaargh!’, and staggered away. A few minutes later, Eric breezed in, fresh as a daisy, ‘Top of the morning, to you!’ That’s how Steve learnt about Norbert Elias. I learnt a lot from Eric too: earlier on, he inducted me too into the mysteries of processual thinking. (I’ve often said I learnt more about Elias’s way of thinking from Joop Goudsblom than from Elias himself, and that’s also true of learning from Eric.) Eric was a brilliant teacher, for both students and colleagues. The fact that Eric was always such fun may distract us from recognising what a powerful academic mind he had. In fact, in the early years I was a bit in awe of him, partly because one of his first articles, with Earl Hopper, had already been on a reading list when I was a mere undergraduate in Cambridge. And I was bowled over by his paper on ‘Power and authority in the public schools’, which he presented at the conference in Aachen in 1977 to mark Elias’s 80th birthday. We met in the first place because Eric had been asked by the publishers, Nelson, to write an evaluation on my proposal for my first book. He was very encouraging; we met, and became close friends. In an email to me, Godfried van Benthem van den Bergh said he would remember Eric as ‘a great character and an original thinker’. Yes, indeed. We shall all miss him. And we shall not see his like again! When Michael and Rachel invited me to say a few words about their Dad, I said I felt honoured to be asked. Not honoured, I explained, because he was a distinguished sociologist, though he was certainly that. Not honoured because he was effectively the founding father of the sociology of sport. But, I explained, I would be greatly honoured to talk about Eric because he was my friend. I met Eric in 1963; he was my tutor when I first came to university. So I knew him for 55 years, during the last 50 of which we worked together as colleagues, increasingly closely over the last 35 years. But Eric was much more than a colleague; he was a very dear friend. Eric was what is sometimes called a character; indeed, he was a larger than life character. He was the almost perfect embodiment of the stereotype of the absent-minded professor, the brilliant academic who, in the context of everyday life, could do the daftest things. Like the morning many years ago when he walked into our Centre, to be met by astonished looks from everyone before we explained to him that, at that very moment, he should have been on a flight to Poland where he was due to give the opening speech at a major international conference; or the time when, at a moment’s notice, I was asked to address an audience of 150 people at a University Open Day, Eric having previously agreed to do a presentation but then having completely forgotten about it and disappeared; he was eventually located on the M1 somewhere between Leicester and Bradford! Or the time when Eric, Geoff Hurd and I were sharing a new course together and, to ensure our lectures were coordinated, we agreed to attend each other’s lectures; giving the first lecture after lunch one day, I suddenly noticed that Eric, sitting in the front row, was fast asleep and, to make it worse, snoring loudly! I suggested to him that this was not exactly a public endorsement of my lecture but he explained that he thought it might have had something to do with the fact that he had had a glass or two of wine with his lunch! Despite his international academic celebrity Eric was always – well, just plain Eric. 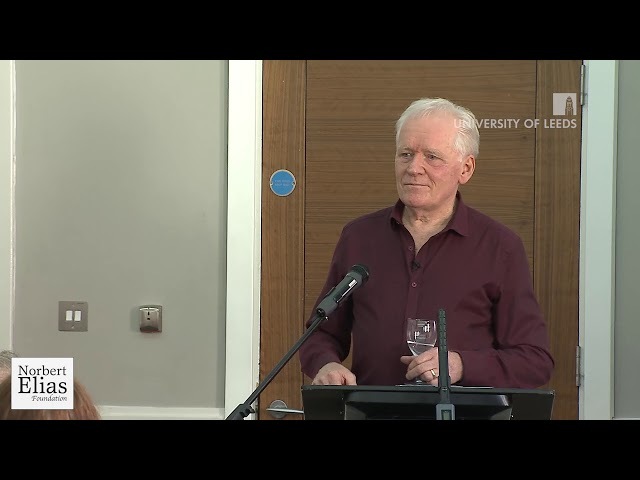 In his Festschrift – the collection of essays in his honour which Dominic Malcolm and I edited a few years ago – we said that Eric was unduly modest about the huge contribution which he had made to sociology. The women who worked in the Senior Common Room in the university – who were as fond of him as he was of them – will tell how many senior academics, stuffed with an inflated sense of their own importance, would insist on being addressed as Professor This or Doctor That. But not Eric; he simply said ‘Call me Eric’. How could you not love Eric? He was great company; great fun to be with, a man who truly lived life to the full. He loved telling jokes, of which he had a huge stock, and shaggy dog stories, some of which you thought would never, ever, end. But above all he was, in common parlance, a lovely man: warm, big hearted and extraordinarily kind and generous. A big man in every sense. Truly a one-off. Let me finish by returning to the sentiment with which I began. I mentioned the women who worked in the Senior Common Room. Of course they knew Eric was a famous academic. They knew he had written about sport. But they probably did not know too much about his work in detail. Some of them are here today. I imagine they have not come here to say farewell to Professor Dunning, the distinguished academic. They have come to say a final goodbye to their friend Eric. That is why I am here too. It is a huge honour to pay tribute to Eric and I want to thank Michael and Rachel for the opportunity to do so. I did not know Eric for long and I did not know him well, but I became very fond of Eric and was an admirer of his outstanding contribution to sociology and his very special personal qualities. We first met at a sociology conference here in Leicester in 2006. A few years earlier, I had read his path-breaking, co-authored book with Norbert Elias, Quest for Excitement, and was eager to see him in action. Sometimes the great disappoint. Eric did not disappoint. His intellectual qualities, authority and force of personality were stamped on the conference. I particularly recall his comments to one speaker at the end of one presentation. Eric told the speaker that he was a ‘brilliant young man’ but then added the caveat that his argument was ‘totally wrong’ (or words to that effect). Those were disconcerting comments because I was the next speaker and feared that Eric might find more to criticise than compliment in my presentation. Of course, his observation combined generosity with plain-speaking and intellectual honesty. Eric’s trademark, I came to realise. My own fears turned out to be misplaced. Eric went out of his way at the end of the conference to support this newcomer to process sociology. ‘Thank goodness, we found you’, he said at the Leicester event; ‘thank goodness, I found you’, was my reply. A personal bond and friendship, I would like to think, developed in that moment – in that exchange – back in 2006. Certainly, at later conferences, I often found myself sitting next to Eric in a restaurant or in a bar, and it became increasingly clear that he was much more than an inspiring scholar. Especially memorable is the determination with which Eric – assisted by Michael and Rachel – made his difficult ascent up a demanding hill at Leeds University on his way to a symposium in the Spring of 2018 to celebrate the work of Richard Kilminster. Eric was as positive and cheerful as ever, despite the challenges. There was no sign of self-pity – only the delight in the company of friends and acquaintances that the symposium provided. 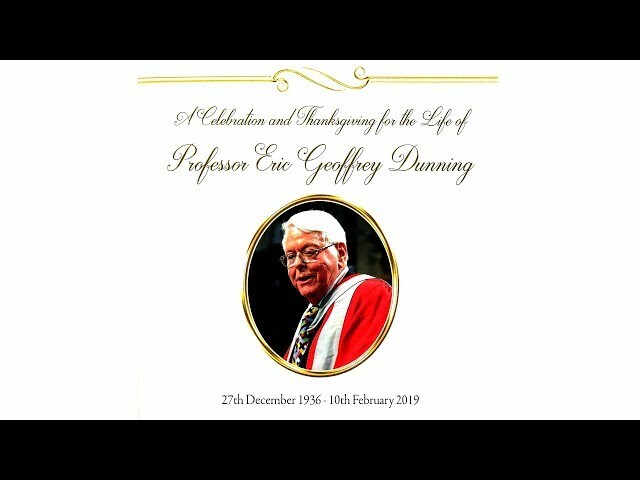 It was a very great privilege to have known the extraordinary Eric Dunning who inspired others and changed lives, as I can vouch from my own experience. Maria Goudsblom died at home in Amsterdam on 31 March 2009, after a long battle with cancer. Maria was the beloved centre in two families: naturally in her own family of Joop, Clara and Frank, but also in what Cas Wouters was the first to call ‘the figurational family’ consisting of the ever-spreading international network of researchers working with the ideas of Norbert Elias. Maria studied social psychology at the University of Amsterdam, and it was there that she met Joop. They were married on 28 November 1958, and they celebrated their golden wedding anniversary at a wonderful party in the Vondelkerk on 28 November 2008. By then, Maria was visibly ill, but she was able to present a sideshow of the wedding, with an amusing commentary. Maria found employment as a social psychologist, but after the birth of her second child, she decided not to continue her career. But she was always closely involved in Joop’s intellectual work, and she had a deep familiarity of her own with the writings of Norbert Epas. Almost always with Joop at conferences, she was very far from being a ‘traipng spouse’. She had a mind of her own, and though she did not intervene very often in the proceedings when she did speak out it was always incisive, sometimes with devastating impact on those on the receiving end. And for the last decade of his life, Norbert Elias was technically Maria’s tenant in the upper-level apartment at J. J. Viottastraat 13. When, as happened occasionally, Epas displayed his cantankerous side, it was Maria who went upstairs and sorted him out. Meanwhile, downstairs, visitors from near and far would sit around the table in Maria’s kitchen, eating a prolonged breakfast and enjoying conversations that would range from trivial gossip to huge problems of human society and sociology. Thus for decades was Maria a central figure in the figurational figuration. The web of friendship and collaboration now spans the globe, and will endure long beyond Maria’s lifetime. She hosted for many years the annual board meeting of the board of the foundation in early January, supporting it with solid winter meals, good wine and young Genever. Often she informally took part in the board’s discussions and helped it to come to substantial decisions. During the last years of her life Maria devoted herself to the work of the Board of the Foundation Beate Oestreicher Friedenswerke (BOF). The endowment of BOF came from the legacy of her older sister Beate, who prescribed its purpose of funding projects of organisations aiming at ‘peace’ as defined in her own spirit. After her illness was diagnosed in 2007, Maria and Joop made good use of their remaining time together, spending a lot of time at their farm in Ommen, of which they were so fond, and going on cycling expeditions, while Maria continued to play tennis. It was a great pleasure for us to have Maria with us at the conferences in Hamburg and Berlin in 2008. The last few months were, of course, awful, but her funeral at the Oosterbegraafplaats on 6 April – standing-room-only – was a great tribute to Maria’s life. The speakers were: Helly, Maria’s twin sister, who movingly recalled the events of their childhood; her tennis partner and friend, the historian of Indonesia Frances Gouda; Rosemarie Silbermann, a representative of Amnesty International who amusingly recalled Maria’s sometimes ruthless commitment to that cause; the historian Maarten Brands; and then Joop Goudsblom, who described Maria’s courage through her final illness, reading her email messages to her friends when she learned that her illness was incurable; and Clara, who thanked those who had nursed Maria. 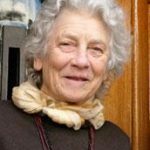 The Norbert Elias Foundation has suffered a great loss with Maria’s death. We express our deep sympathy to Joop, Clara and Frank. Peter Gleichmann, who died on 13 November 2006, was Professor of Sociology at the University of Hanover from 1978 to 1997, and one of the principal champions of Norbert Elias in Germany. He was one of the editors, along with Johan Goudsblom and Hermann Korte, of Human Figurations, the Festschrift presented to Elias in 1977. Peter was born in Berlin, but his family came from Suhl, Thuringia, in central Germany. His great-grandfather was an arms manufacturer, in protest against which his grandfather became a Lutheran pastor in a small town, in reaction to which calling his parents refused to be married in the church – something quite unusual at that time. Both his parents were doctors. Peter Gleichmann followed the pattern, defying his authoritarian father’s wish that he pursue a medical career and instead first studying architecture and then embarking upon an academic career. So opposition and calling things in question was a family tradition, as his younger brother Ulrich – a well-known cardiologist – made clear in his eulogy. He also referred to the fate of their maternal grandfather, a doctor, who came into conflict with the henchmen of the Third Reich and met his death in 1945. After the war, the Gleichmanns came as a refugee family to Hanover. Outwardly, at first glance, Peter’s life now ran along peaceful and ordered lines. He finished his schooling in a traditional Gymnasium, where for the first time there were two young women in his class; one of them, Renate Röver, later became his wife. Both studied architecture, and Peter went on to study sociology. He and Renate had three children. A second look shows, however, that peaceful, orderly lines were perhaps necessary, but at the same time too narrow for Peter. The Hanover Institute of Architecture had links with that in Graz, Austria, and there followed jobs in various in various architecture and planning offices in Finland and The Netherlands. Finding these too narrow, he widened his experience of town, regional and environmental planning. 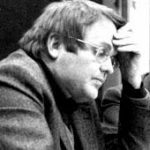 These led him to embark on sociological studies first at Göttingen and then at Hanover, where he became a lecturer in 1960, taking his doctorate in 1962 and his Habilitation in 1968. 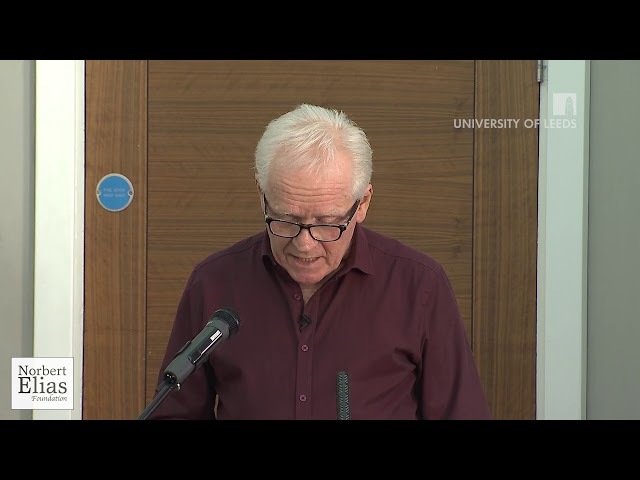 He was a visiting lecturer at the Universities of Manchester and Leicester – where he met Norbert Elias, whose sociology had a profound influence on him. Peter Gleichmann wrote insightfully on social and psychic constraints. He covered all the causes of suffering in body, mind and society, and transformed suffering into knowledge. He had a gift for the outsider’s or marginalized perspectives. He took particular care of foreign students. He promoted the reception of French sociology because he felt it was unjustly marginalized. He took a keen interest in Germany’s smaller neighbouring states, such as Poland and The Netherlands. The same ‘view from below’ led him to show that buildings should be made fit for people, not the other way round. In his architectural sociology it led him to address the tabooed ‘natural functions’, and later to speak about violence and death. 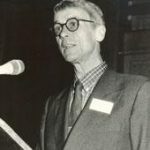 Rudolf Knijff, who died of AIDS on 28 September 1994, over the past fifteen years devoted an important part of his life to Norbert Elias – first to Elias personally, and then, after his death in 1990, to his memory and his legacy. That was no sinecure. Norbert Elias was an extraordinary man; it was part of his extraordinary qualities that he could be very demanding. This put a heavy burden on Rudolf, especially at the beginning when, in 1981 as a 25-year-old student in political science at the University of Amsterdam, he found himself posted to the Zentrum für interdisziplinäre Forschung (ZiF) in Bielefeld to act as secretary, assistant, and general factotum to Norbert Elias – seven days a week, twelve hours a day. Understandably, he experienced moments of despair, all alone in the distant Teutobergerwald. However, as he himself noted in a written memoir of the period, he found ways to survive, such as taking an occasional weekend off to go to Amsterdam. This was very much against Norbert’s wishes, but Rudolf stuck to his guns. This firm attitude enabled him to carry on working for Norbert for almost ten years. When Norbert first settled in his apartment in Viottastraat in Amsterdam, Rudolf came to live in with him. Later he came in only a few days a week; for the rest of the week, another assistant would work for Norbert. Those other assistants never stayed on for more than twelve months, however, while Rudolf kept going for many years. He was the pivot on which the household turned. He performed his task with great devotion. It was mainly thanks to his good care that there was order – not only in the chaos of Norbert’s papers but in the entire house, from the kitchen to the wardrobes. Visitors always met with a good reception – Rudolf always saw to that, with a watchful eye on the supplies and a keen sense of quality. His position was far from easy. I often admired him for the way he managed the balance between being attentive and maintaining dignity and self-respect. He had carefully drawn the boundaries between what could and could not be expected of him. A certain brusqueness sometimes helped him to maintain those boundaries. Underlying Rudolf’s longstanding relationship with Norbert were genuine affection and admiration for Norbert’s work. Over the years Rudolf gained a thorough and intimate knowledge – not only of Norbert’s published and unpublished writings but of his entire way of working and thinking. Rudolf was the one who was present when Norbert died. After that, he rendered invaluable assistance in ordering and listing the legacy – an extensive job in which he took upon himself the special task of sorting out and cataloguing the library. Fortunately, he was able to finish that task. I always enjoyed working with Rudolf, and appreciated the mixture of personal commitment and detachment, of formality and friendliness that emanated from him. It was a heavy blow to the Norbert Elias Foundation when it became clear that we would gradually be deprived of his services, which were so vitally important to our small foundation. We shall always continue to be reminded of the many contributions he made. On both occasions hung a shadow. On the day of Bram’s PhD celebration, his friend Rudolf Knijff was feeling unwell. He did his best to hide it, but several of us feared the worst and that turned out to be the case. From the very beginning, Bram devoted himself with verve to the Foundation. He felt a self-evident loyalty to Elias’s intellectual legacy. He was closely involved in all of the Foundation’s initiatives. His personal interventions leading to the establishment of the Norbert Elias Chair at the University of Utrecht were invaluable. Collaborating with Bram was always a pleasure. He had a clear and accurate judgement and knew how to present and, if necessary, defend it with style and charm. The words ‘board meeting’ may not immediately arouse pleasant associations, yet Bram managed always to bring an animated touch to our sessions. Official trips to such unexciting places as Hunsrück and Marbach thus became events first to look forward to and then to look back upon with pleasure. For me, that memory is precious and encouraging. I am grateful for the friendship that Bram gave Maria and me. It was as teacher and student that we became acquainted, but we had long left that stage behind us. I for my part was able to learn a great deal from him, for Bram had much to offer not only in erudition but also in experience and judgement of human character, and in cordiality. Some images stay with me such as the summer afternoon when I was busy in the garden and suddenly heard my name being called from above. There, at the balcony of the apartment above our own where Norbert lived, stood Bram and Rudolf: two men in good shape, in good clothes, with good hairdos, and, above all, in good temper. They were, as I now realise, in the prime of life. Apart from such moments to recollect Bram fortunately also left us his books: the impressive S1 (1995), with a moving account of the experiences of a homosexual Dutch soldier in Germany in the 1960s, Eigenwaarde als groepsbelang (‘Self Esteem as a Group Interest’, 1991), a collection of highly perceptive essays on various minorities, and Vrouwen in tweestrijd (‘Women Torn Two Ways’, 1983), written together with Cas Wouters and translated into German (1987). Each of these books bears witness to a unique combination of powers of observation, empathy, and sociological imagination. During the last years of his life, Bram turned more and more to writing semi-autobiographical fiction, but he also found the energy to start working with Christien Brinkgreve on a book about social inheritance. Christien will now have to finish that project by herself. So, luckily, there is a posthumous publication to which to look forward. [The book by Christien Brinkgreve and Bram van Stolk, Van huis uit (literal translation ‘By Birth’), was published by Meulenhoff, Amsterdam, in February 1997.] Talking with Bram, however, asking him for advice, exchanging impressions and opinions and bringing back memories all that is now a thing of the past. There is a book of poems by H. A. Gomperts called Of Loss and Death. I understand what he means by that title, but actually, it is a pleonasm. For death is a loss, the greatest loss.